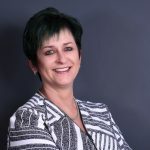 GAUTENG, JOHANNESBURG – It’s the end of an era as Jeep ends its 16-year sponsorship of one of South Africa’s most successful Sport & Wellness Teams, Jeep Team South Africa, founded by Max Cluer Sports Marketing cc (MCSMcc) in 2001. The teams title sponsorship began with Jeep Apparel through Musgrave Agencies, which was then taken over by Jeep vehicles through Jeep South Africa, Fiat Chrysler Automobiles (FCA). Jeep Team South Africa (JTSA) has been massively successful over the years in identifying, producing and shaping over 300 young South African athletes into world class athletes across select nonconventional sporting disciplines. The core focus of Jeep Team has always been in educating athletes on sporting etiquette, managing stress, applying high ethical standards, and teaching self-brand-building acumen in order for each individual to reach their highest potential possible. JTSA also provided a solid support structure and comradery to its team members. Over the years, the Jeep Team portfolio grew and consolidated into one of the most successful teams of its kind in South Africa, producing local, national and world champions across the sporting codes of Adventure Racing, Mountain Biking, Downhill MTB, BMX, Surfski, River Kayaking, Multisport, Extreme Sport, and, more recently, Trail Running and Obstacle Course Racing (OCR), which were included into the 2015 portfolio. 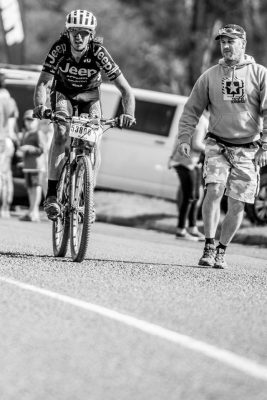 In 2014, Jeep Team shifted its focus to manage only Junior, u/23 and Elite categories across 6 sporting disciplines – Adventure Racing, Mountain Biking, River Kayaking, Multisport, Trail Running and Obstacle Course Racing. And Christiaan Greyling (AR), who over the past 12 months has produced wins, top 3 and top 10 achievements across the world’s toughest trail marathons and adventure races. The Discovery Sport Industry Award winning team from MCSMcc is also no stranger to accolades, and in 2017 Jeep Team SA was shortlisted for the Discovery Sport Industry Awards Category, Best Use of PR.